Mass production of celadons in imitation of Longquan from kilns (Maruo, Hasami) near Arita took place in the 17th c. The intended market was Indonesia (and SEA in general). Characteristics are: paler shade than chinese, heavy porcelaneous stoneware, large diameter and narrow circular remains of kiln support within the orange iron wash area of the base. 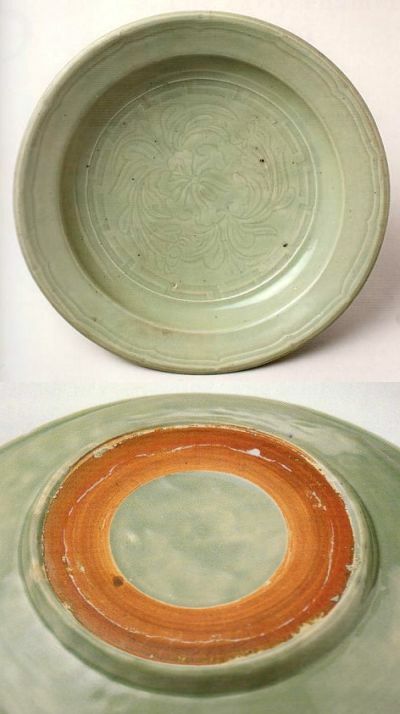 The pictured shows a Japanese Celadon dish from 17th century.